Kathleen joined our firm in 2008 and currently manages all aspects of marketing. Her specialty is helping is helping our clients, both buy-side and sell-side, understand the marketplace and how they can achieve their acquisition or divestiture goals. Kathleen is an expert at the market research required to determine the probability of a successful engagement and developing the tactics and strategies to help our clients realize their goals. Kathleen has over twenty five year of business experience ranging from small business ownership, large corporate assignments, mergers and acquisitions and international markets all in various functional disciplines. 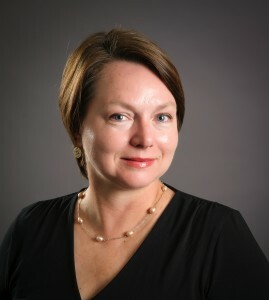 Kathleen began her career as a researcher at Russell Reynolds Associates, an executive recruiting firm. One of her areas of expertise was identifying industry expertise executives to step in and manage firms acquired by venture capital portfolios. She left that firm to study business and work in Barcelona for a year. Upon her return, she joined the Richmark Group, a firm that specializes in business-to-business marketing and channel management consulting. Client’s ranged from Fortune 50 companies to start-ups to M&A firms needing additional resources in due diligence. Kathleen also took some time to start and grow her own retail business. The business quickly grew to one of the largest in Chicago as well as receiving attention from national magazines, citations in books and magazines as one of the best in the industry. Her vast corporate experience combined with her successful small business ownership allow her to bring a unique perspective to all of our client engagements.